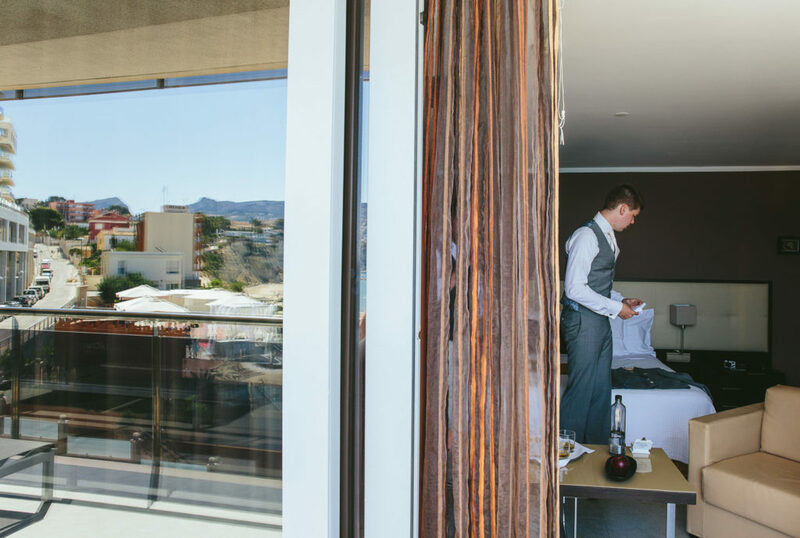 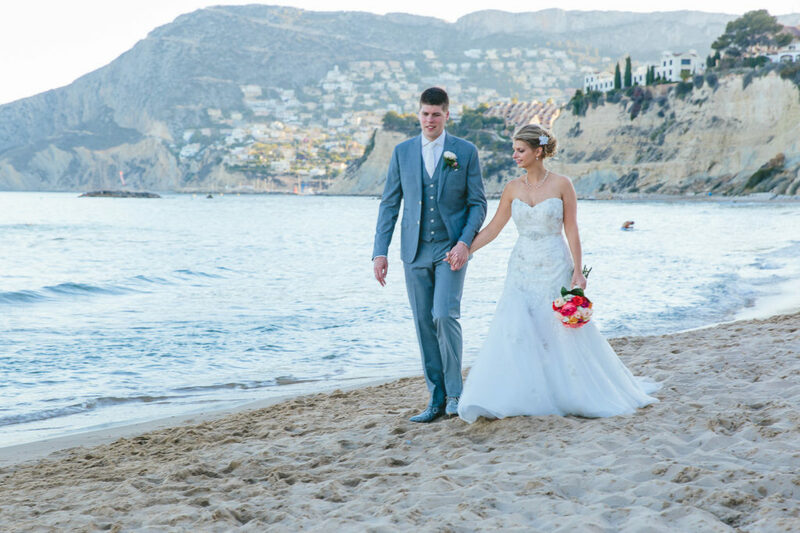 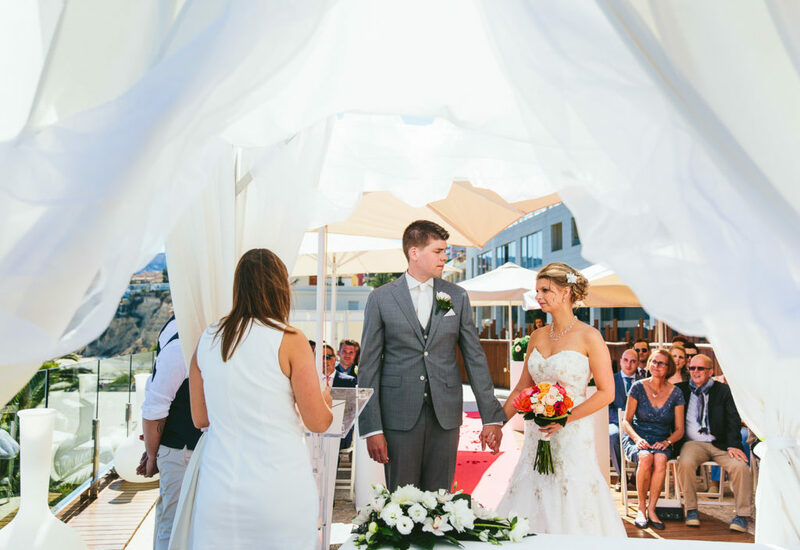 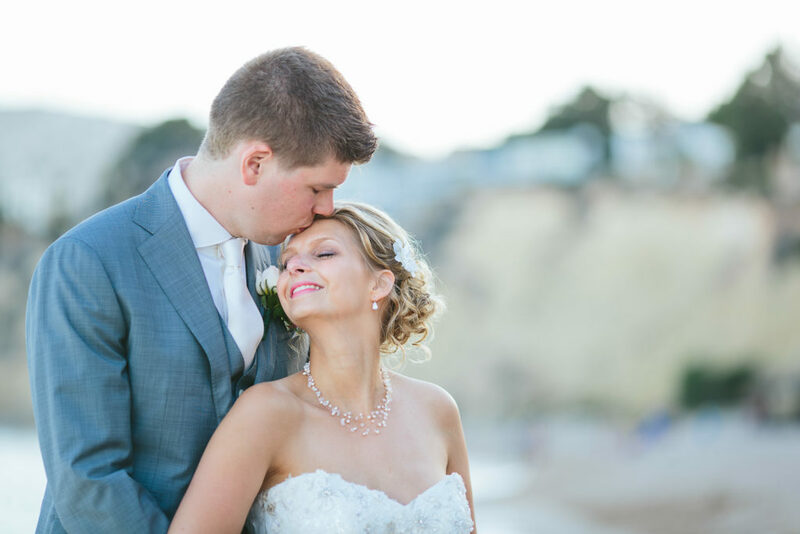 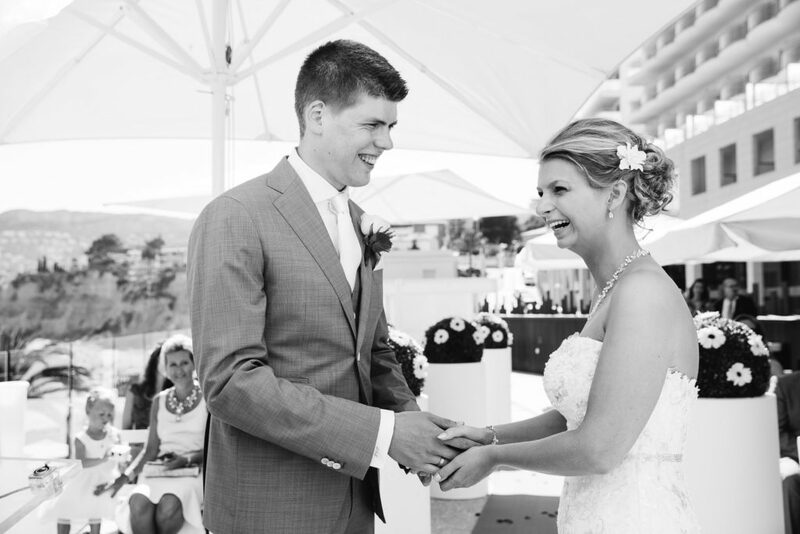 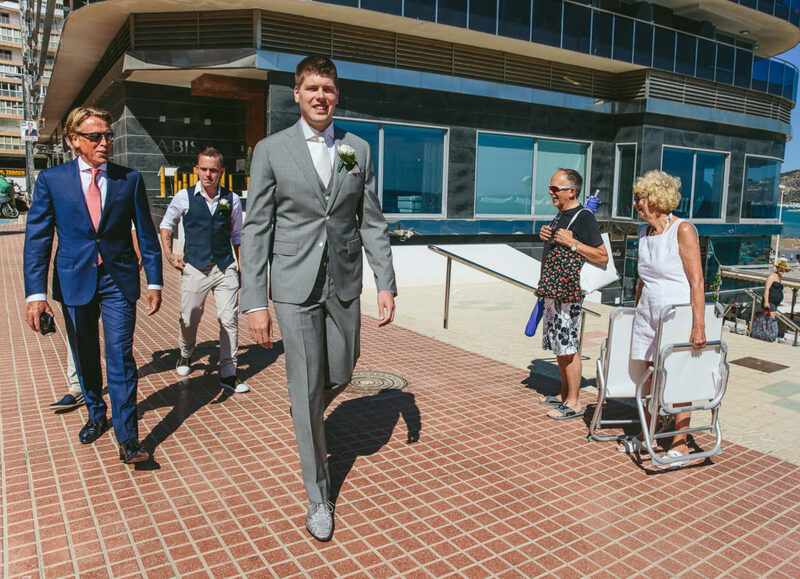 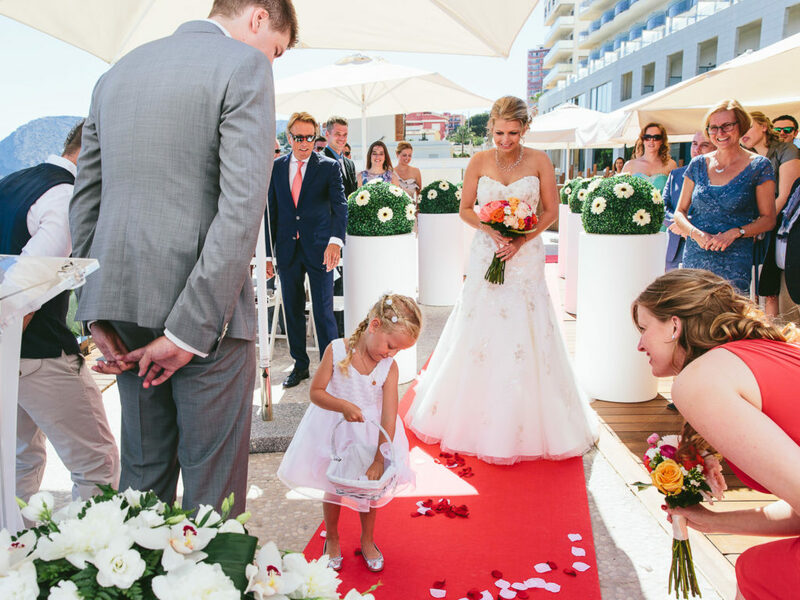 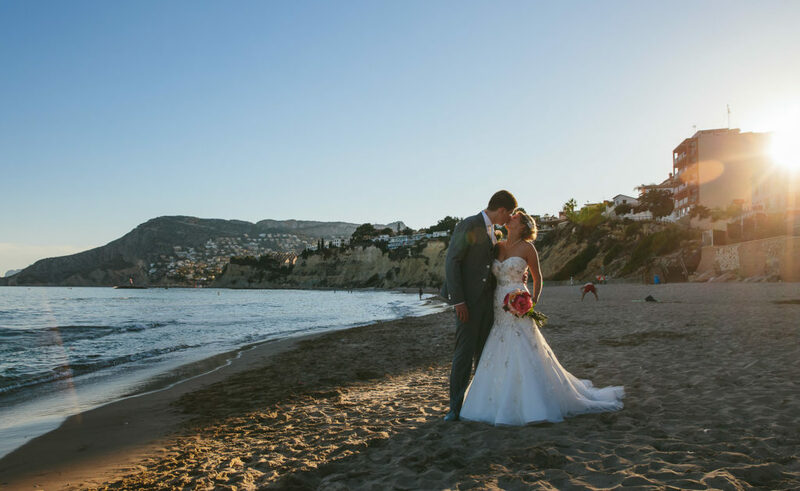 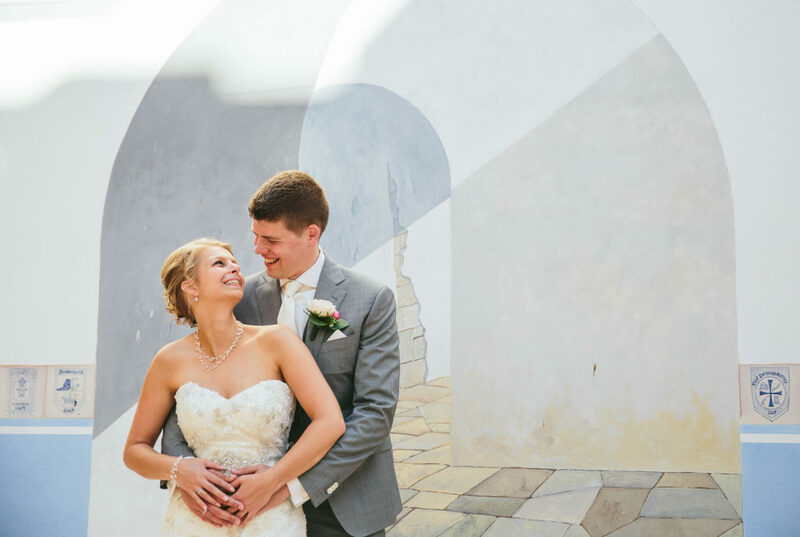 The gorgeous Lotte & Patrick are from the Netherlands and chose one of my favourite hotels – the Gran Hotel Sol y Mar in Calpe, Spain – for their June wedding. 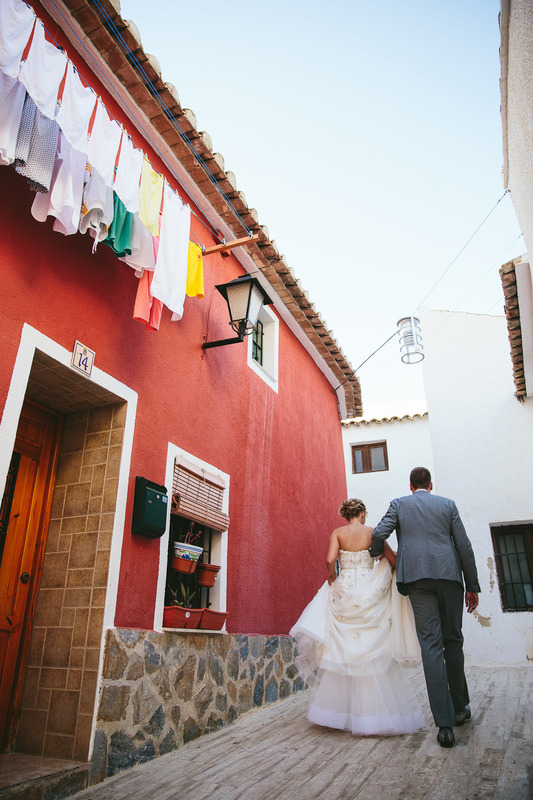 I was the very lucky wedding photographer who got to shoot their beautiful Spanish wedding! 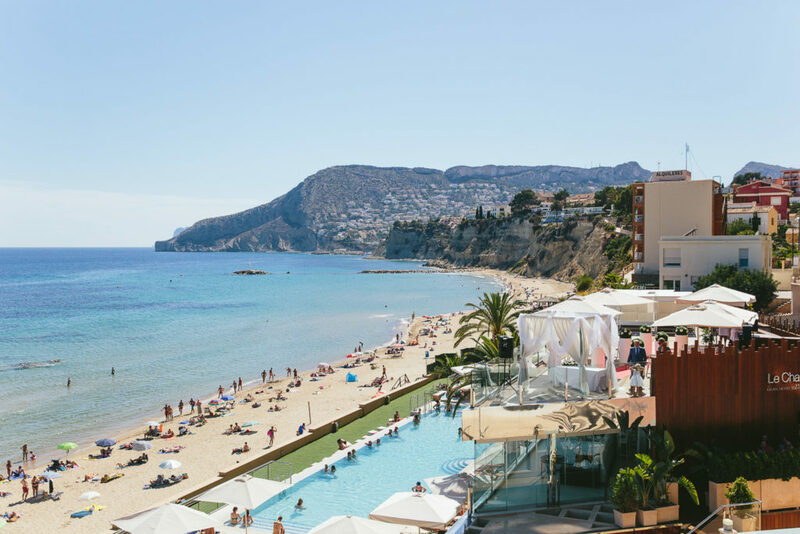 As a destination wedding photographer I travel for work quite a bit, but I must admit to a certain weakness for this part of Spain (I actually lived here for 6 years), and this hotel in particular. 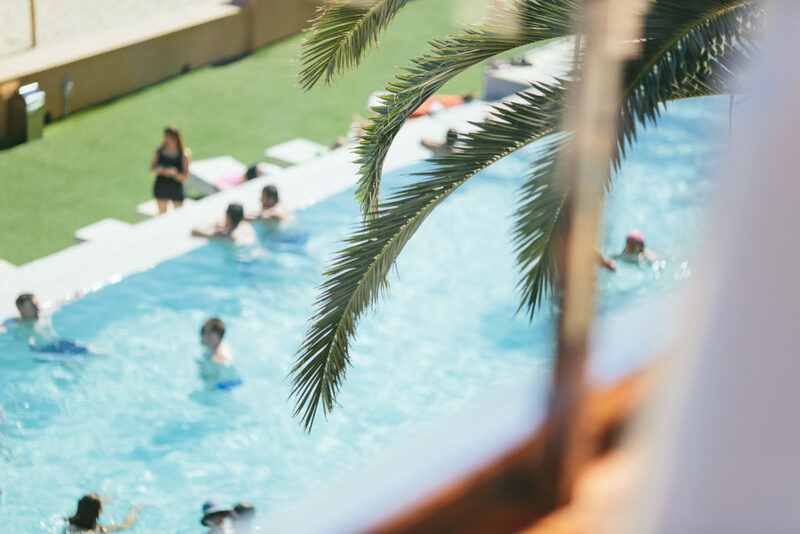 More specifically, the infinity pool is beyond spectacular and they do huuuge mojitos!! 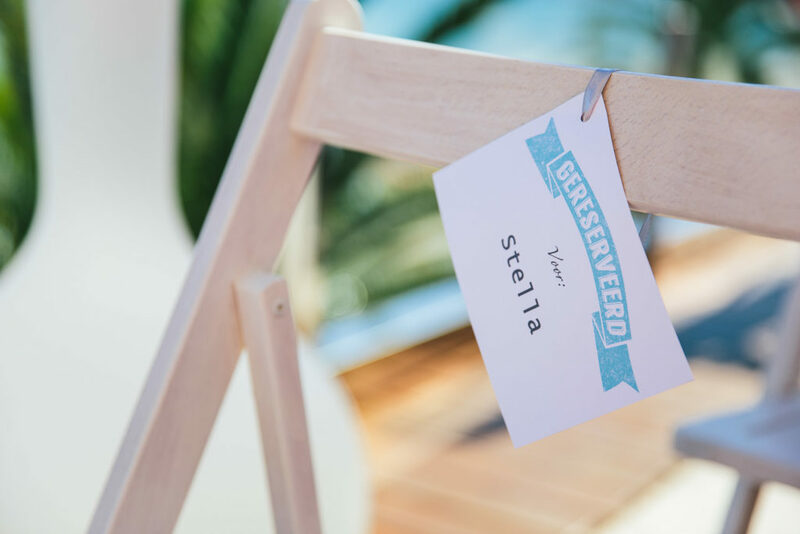 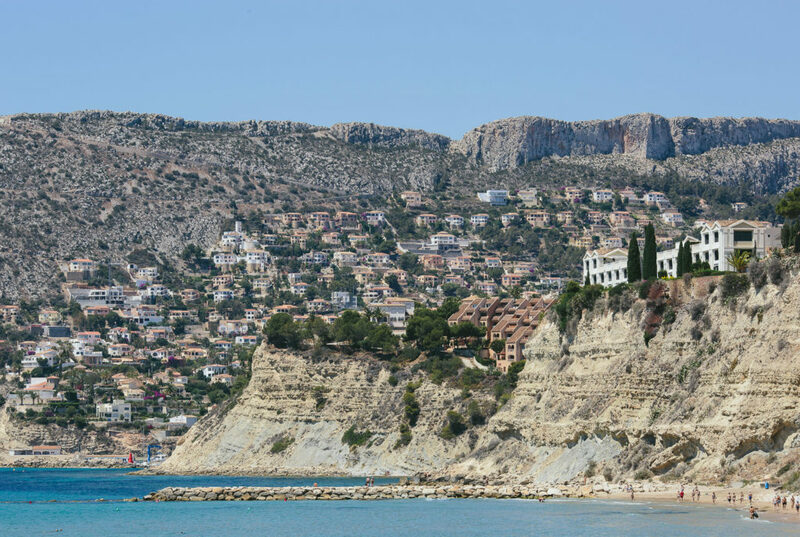 A dream venue for any Costa Blanca Wedding Photographer with a penchant for lazing about doing nothing the day before and after the wedding! 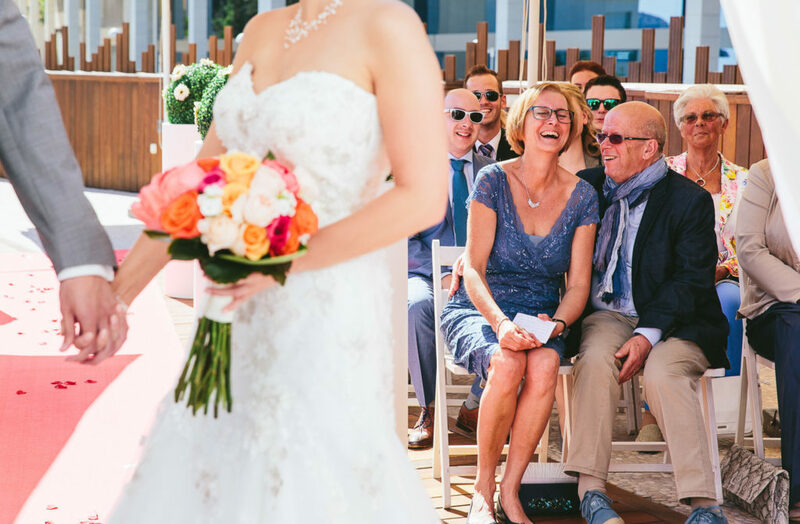 One of the things I love most about destination weddings is the opportunity to get to know the my couples really well in the lead up to the big day. 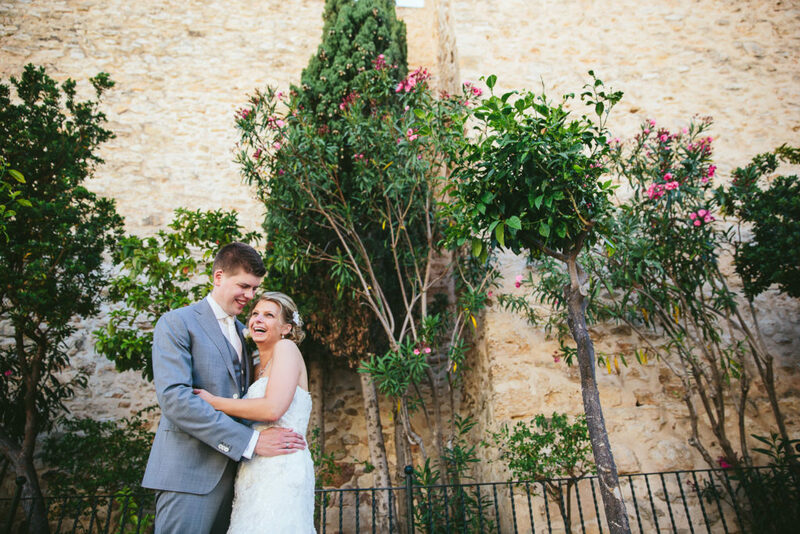 For weddings in Spain and other parts of Europe, I’ll arrive with at least a day to spare (can’t be too careful with the risk of flight delays, cancellations and spontaneous Icelandic volcano eruptions! 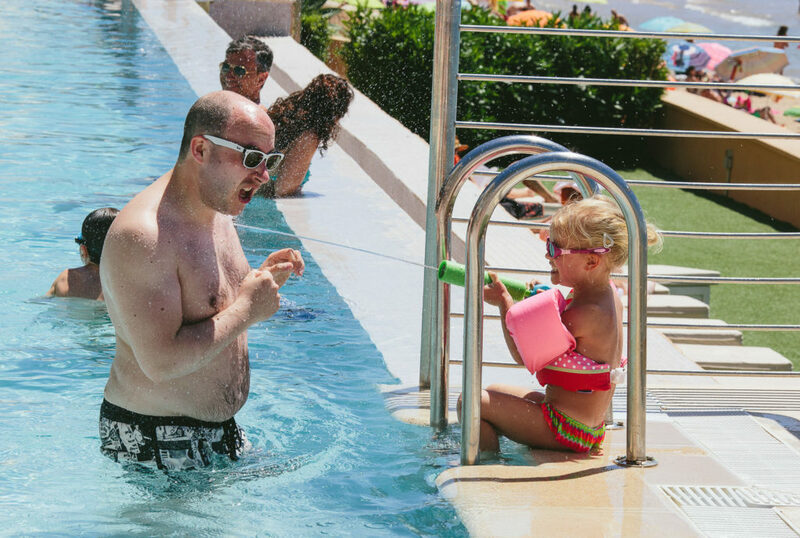 Anyone else remember the chaos of that particular summer?!!). 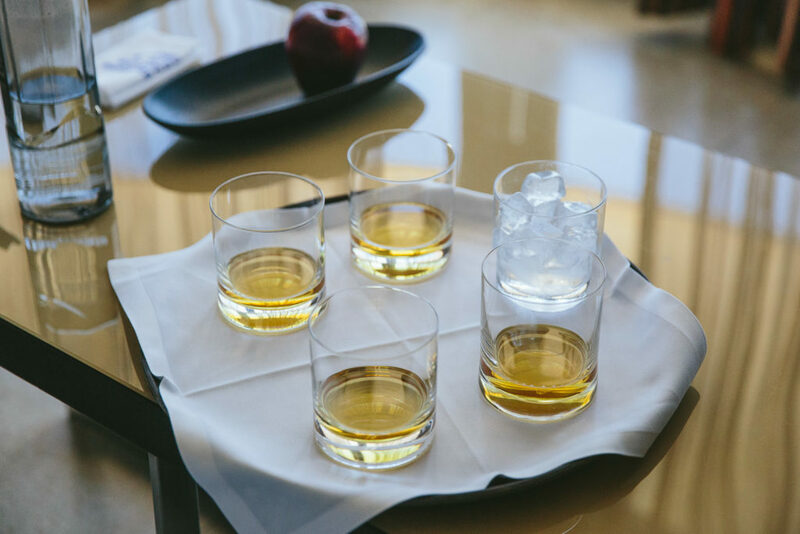 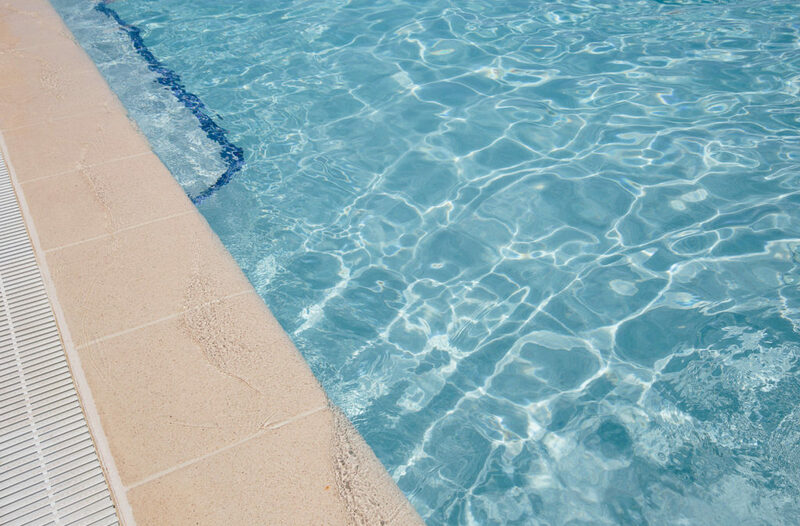 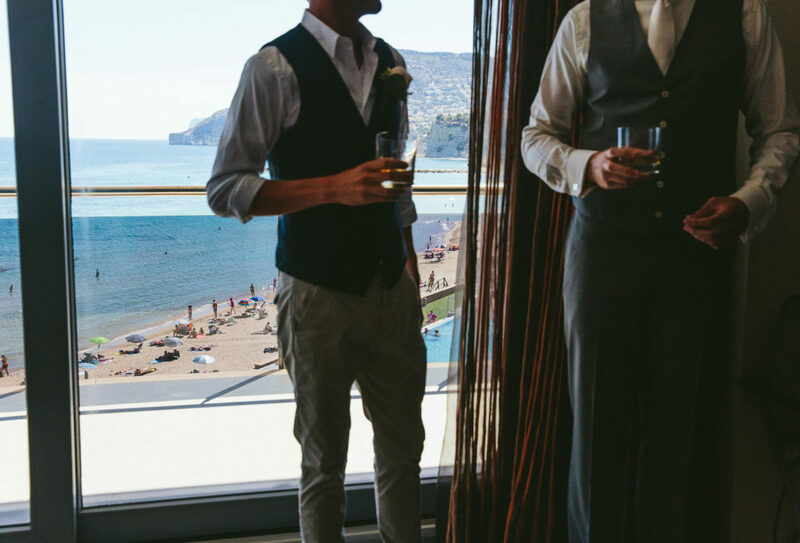 Arriving early means enjoying a cocktail or two around the pool, introducing me to your family and friends (it’s lovely and so useful to get to know who’s who before the big day), plus having the chance to check out some awesome locations for your wedding photos! 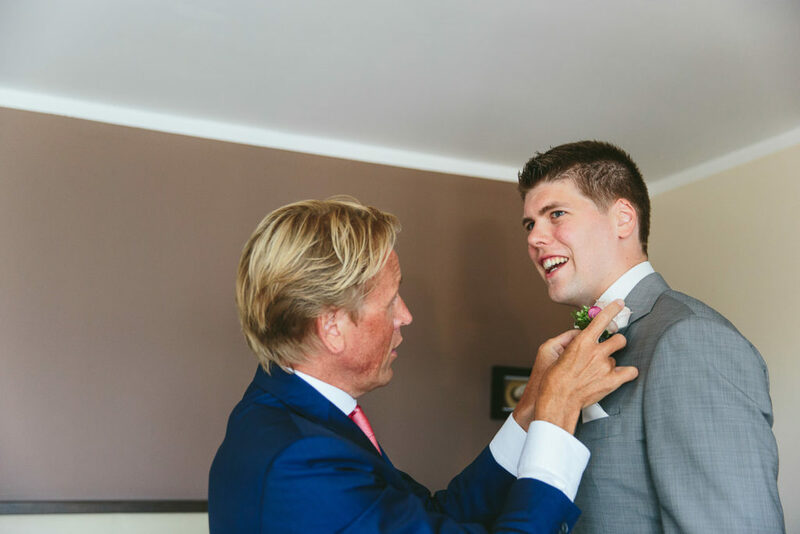 The morning of the wedding, I was able to visit both Lotte & Patrick (they were both getting ready in the hotel) to capture last minute make-up, hairdressing, whisky-drinking and the usual struggle to get the men’s buttonholes on straight. 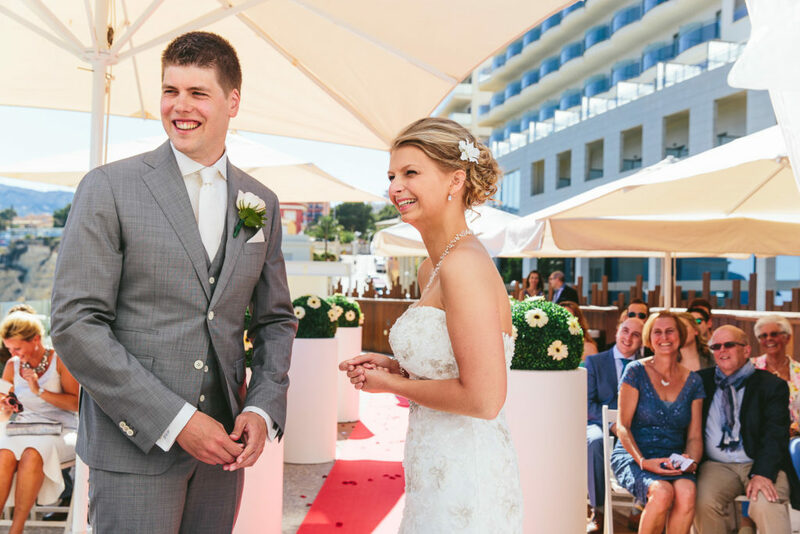 Lotte & Patrick tied the knot in front of their family and dearest friends, on the terrace of the hotel’s ‘Champagneria’ (that’d be a Champagne bar!). 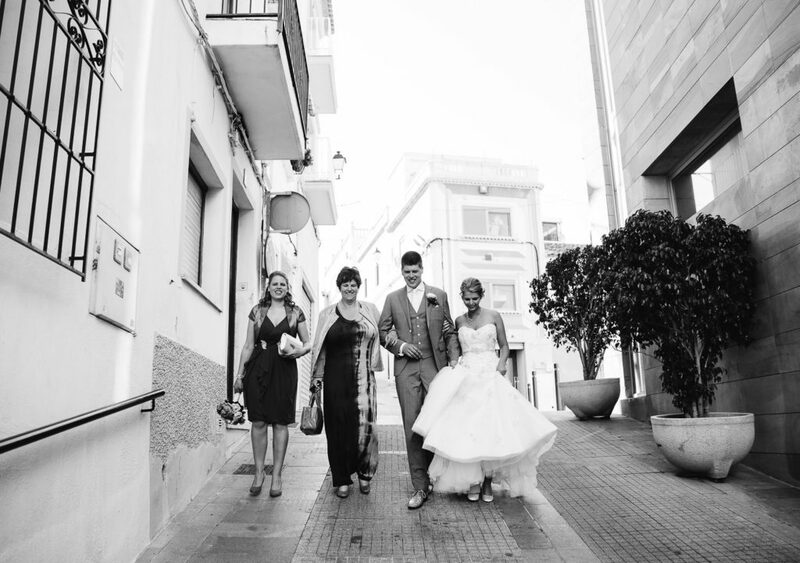 Nuptials were followed by cake, champagne (of course) and a few relaxed photographs. 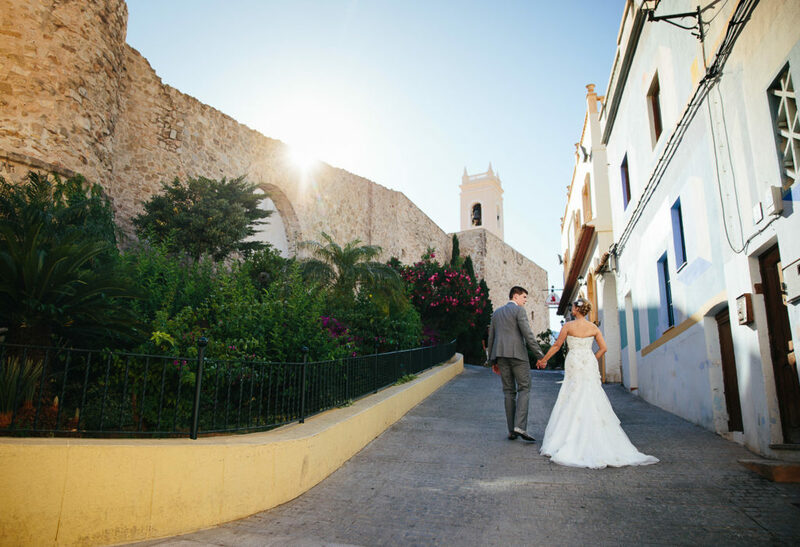 Then it was time to head up to Calpe Old Town for what was probably my favourite part of the day. 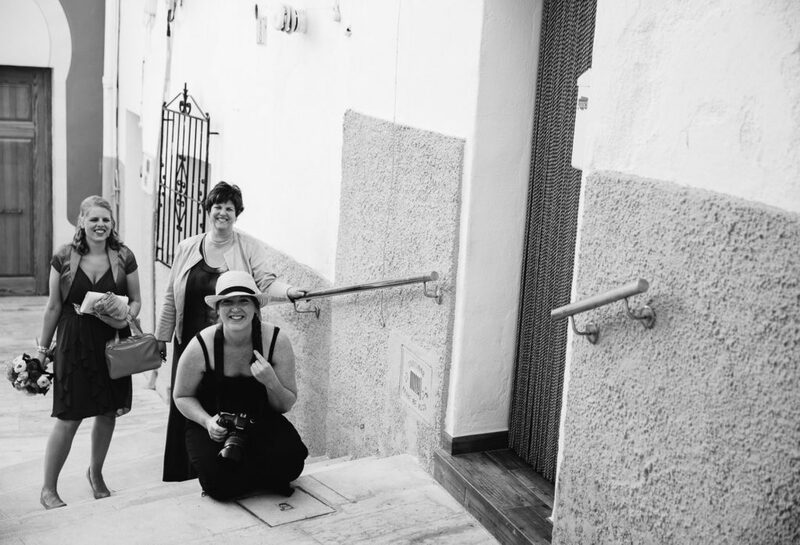 We wandered all around the Old Town (it’s pretty compact!) 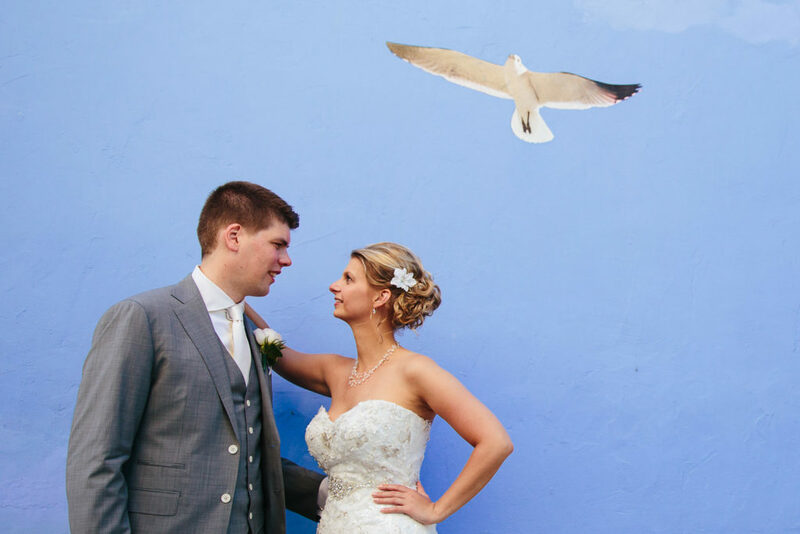 seeking out interesting old buildings, wall murals and some amazing early evening golden light, grabbing some beautiful portraits of Lotte and Patrick along the way. 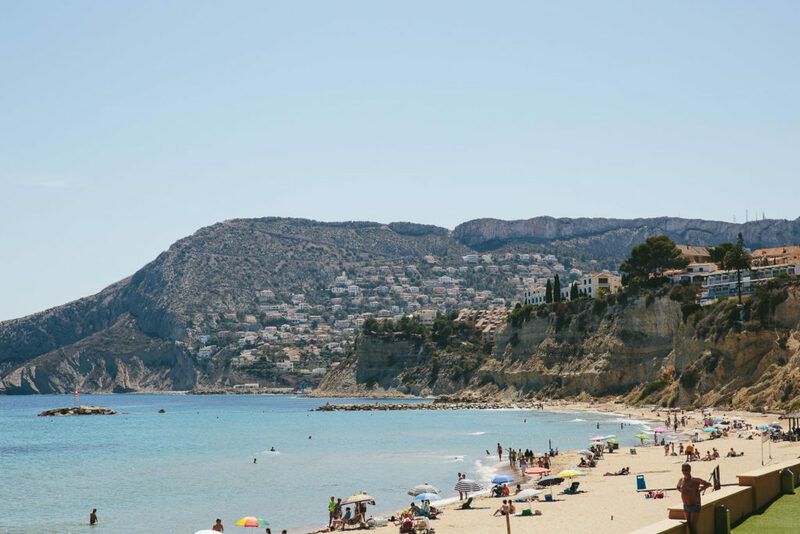 We then went down to the beach and watched the sun set on Calpe rock. 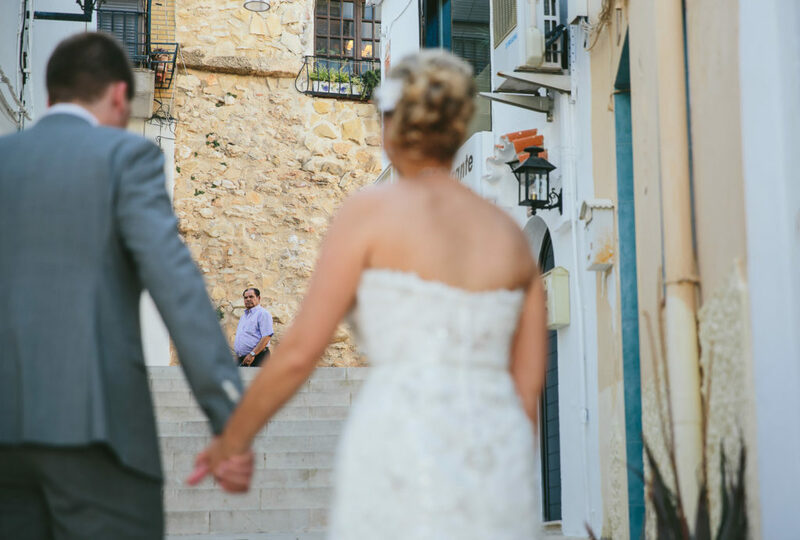 If you’re considering getting married in Spain, there are certain legal requirements to be aware of. 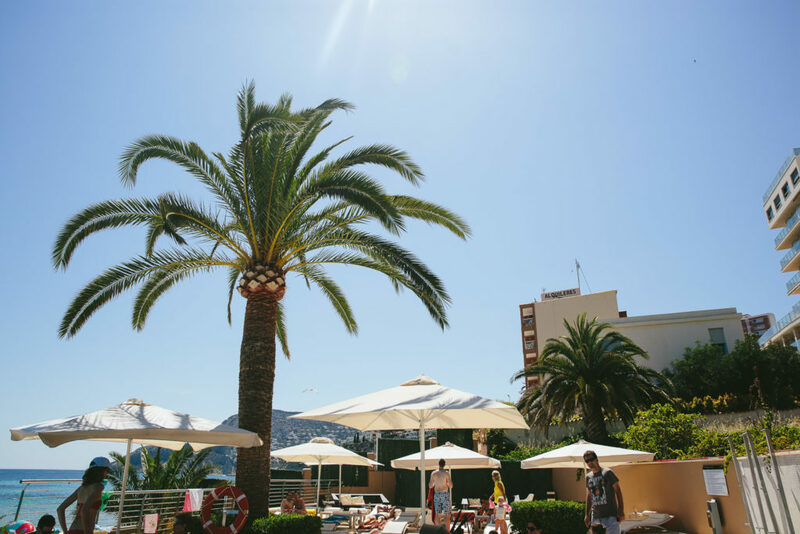 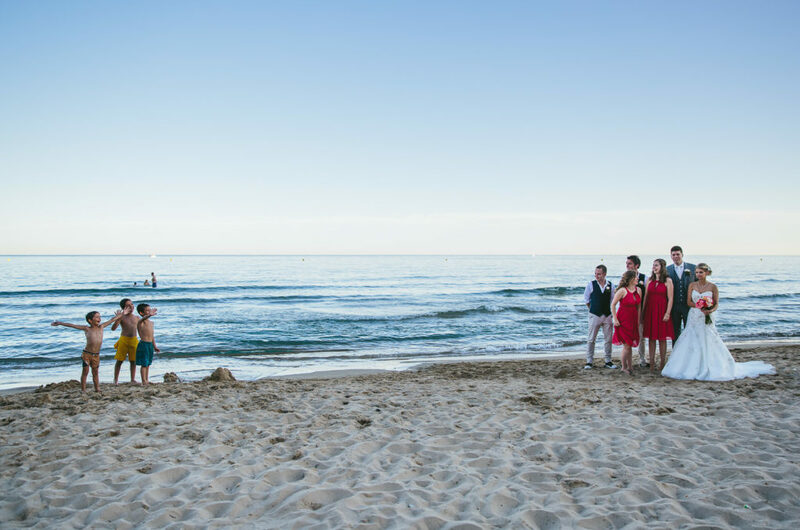 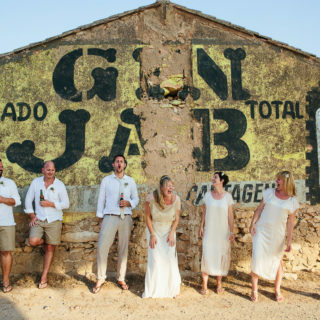 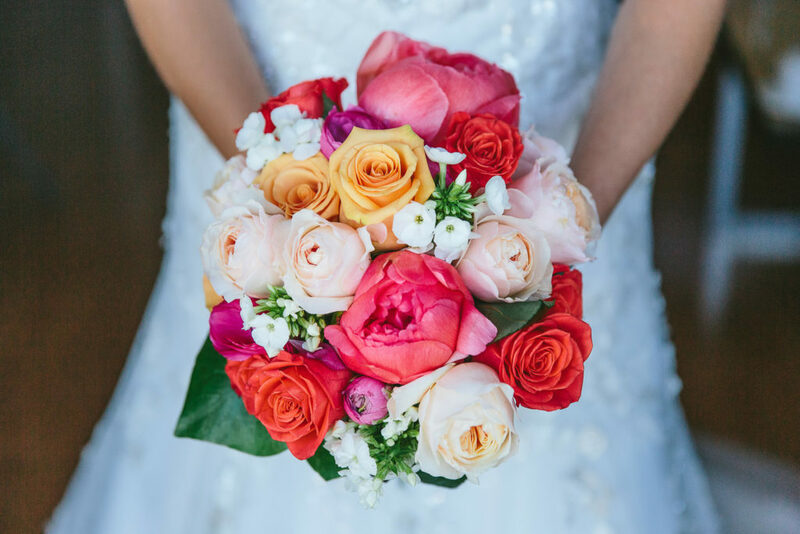 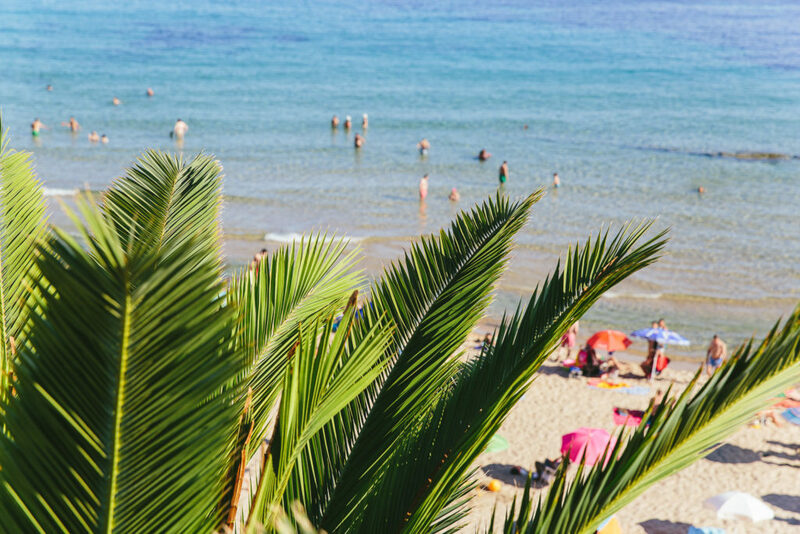 You can find out more about these here: http://www.confetti.co.uk/honeymoons-travel/getting-married-in-spain/ It’s easiest to choose a registry office in the UK for the ‘legal bit’ before holding your wedding celebration in Spain. 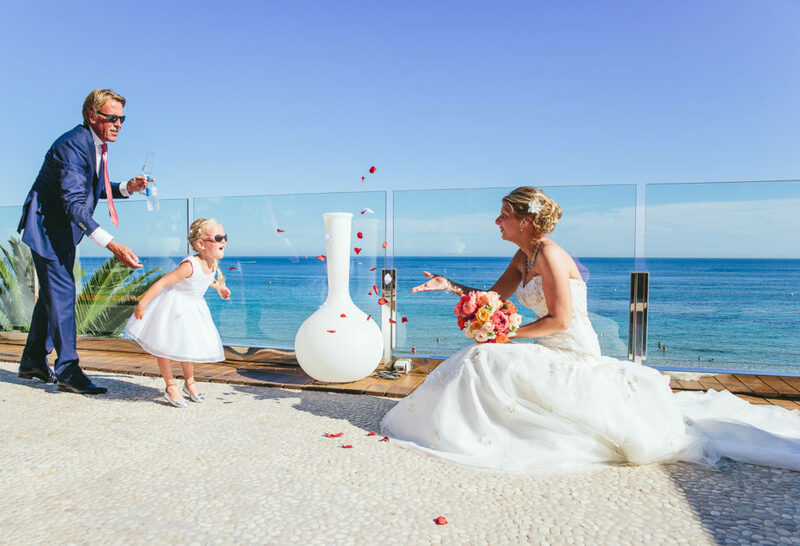 If you have any questions about getting married on the Costa Blanca then do give me a shout! 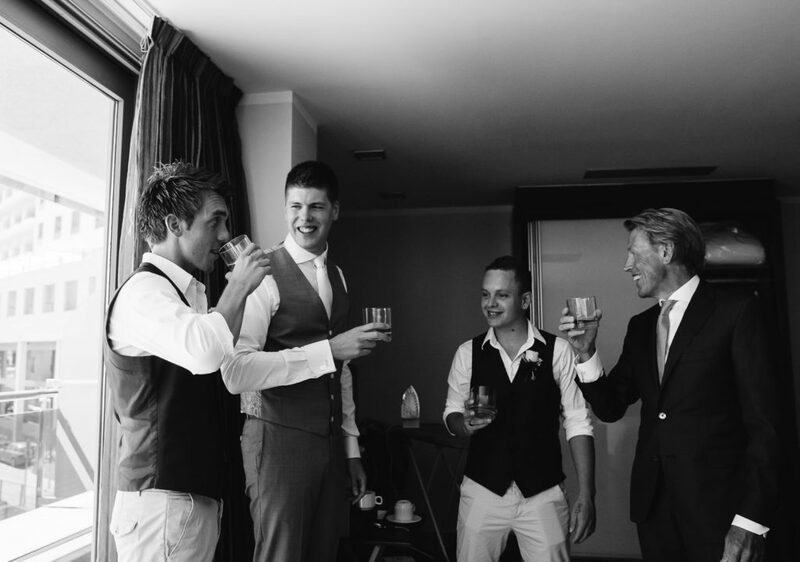 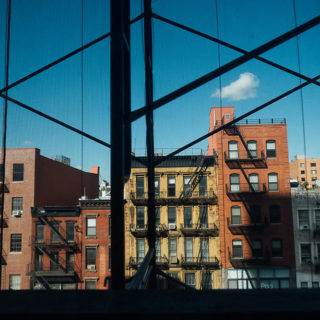 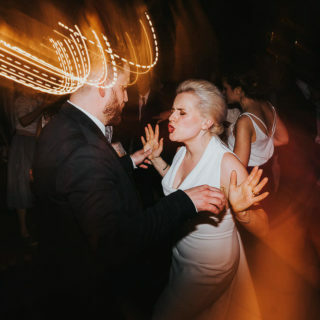 I’d be happy to recommend suppliers and a list of my favourite venues to check out. 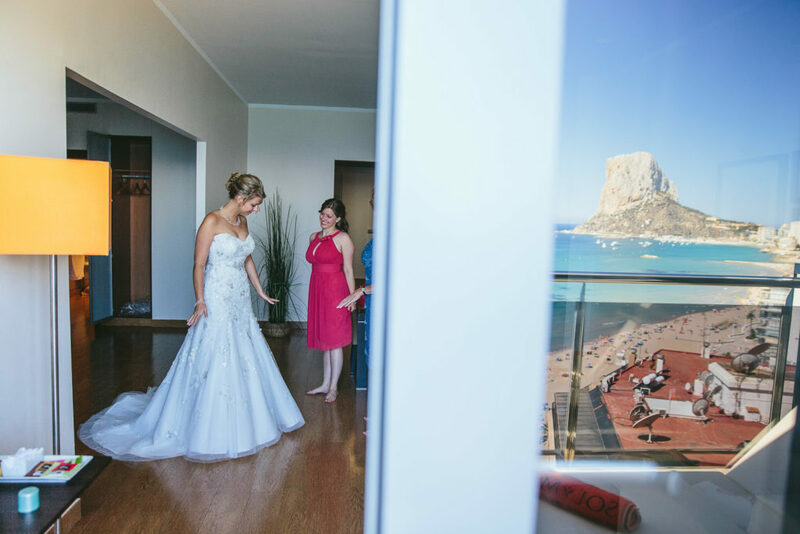 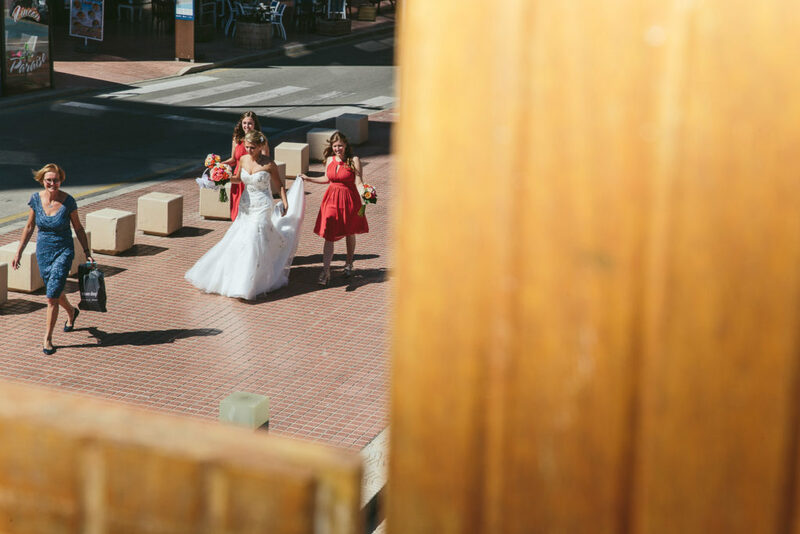 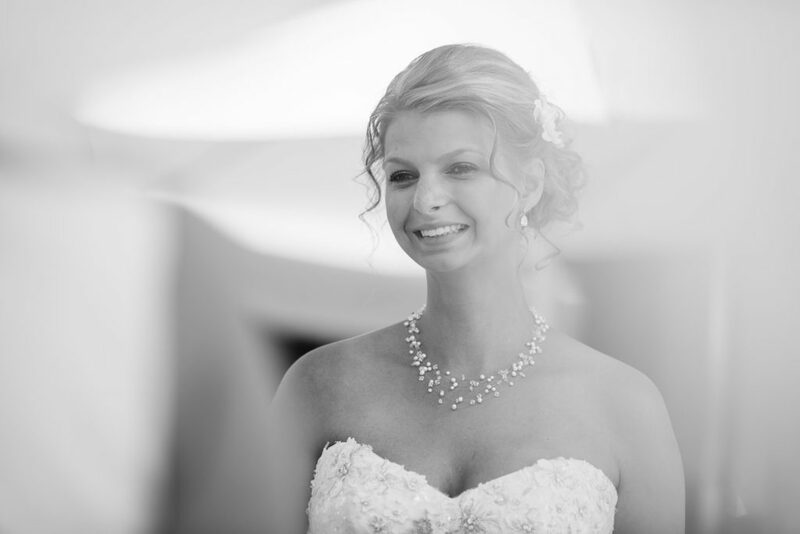 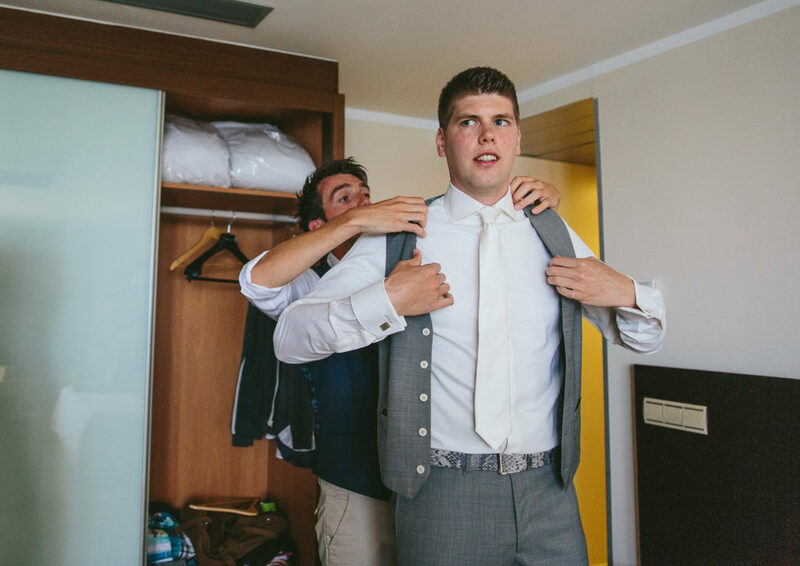 Costa Blanca Wedding Photographer – Get in Touch! 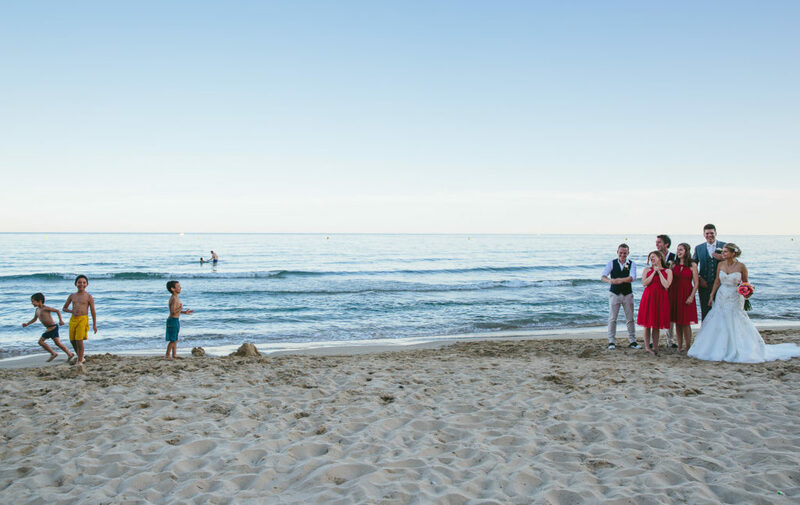 If you’re looking for a Costa Blanca Wedding Photographer or a destination wedding photographer in Spain, France or the rest of the world, give me a call on 07841 457799 or email [email protected] You can also get in touch via my Contact page.